With a stay at this apartment in Horseshoe Bay, you'll be on the beach, just steps from Horseshoe Bay Beach and a 5-minute drive from Magnetic Island National Park. 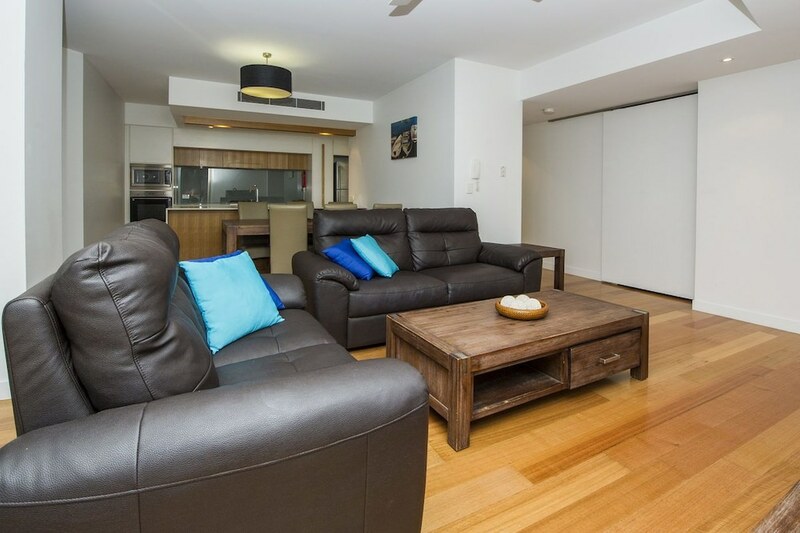 This beach apartment is 3.3 mi (5.3 km) from Radical Bay and 6.3 mi (10.2 km) from Magnetic Island Golf Course. Make yourself comfortable in this air-conditioned apartment, featuring a kitchen with a full-sized refrigerator/freezer and an oven. There's a private furnished balcony. Digital programming and a DVD player are provided for your entertainment, while complimentary wireless Internet access keeps you connected. A private bathroom with a separate bathtub and shower features a deep soaking tub and complimentary toiletries.